Our assortment of Coconut products includes Twisted / curled Coir Rope, Two Ply Twisted Coir Yarn, Coir Fiber - Brown or White Fiber and Coir Pith / Coco Peat Blocks. The entire range of products is widely utilized in several industries particularly Mattress Manufacturing Units, Construction Industry, Decorative manufacturing industry, agriculture, horticulture and floriculture sectors. Our range of Eco-friendly products are largely demanded for their superior quality, durability and high strength. 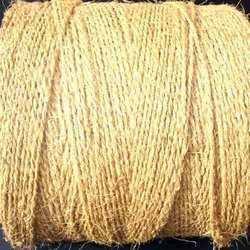 Our clients can avail from us high quality 3 ply Twisted Coir Yarn, which is manufactured from matured brown coir fiber extracted from the fibrous cover of coconut. With the help of our expert professionals we are able to deliver the products in a timely manner. Our products are available at affordable rates in the market. Salient features:High strength Strong resilience to salt water Optimum resistance to abrasion. 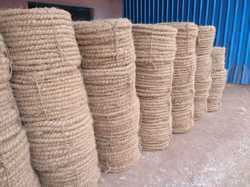 Looking for Coir Rope ?